18. "Four Rooms" (1995) In an atrocious performance as a neurotic bellhop, Tim Roth binds together the quartet of farcical hotel-set short stories that form this ill-conceived anthology. Rodriguez's segment, "The Misbehavers," sees unsupervised minors getting their chaperone in trouble. It's not utterly insufferable, as it comes across like an R-rated prequel to what he would later explore in other children-parent dynamics, but it's not sufficiently outstanding to wash away the unhinged overacting and obnoxious writing. The most dreadful undertaking of which Rodriguez has ever been a part. 17. "Spy Kids: All the Time in the World" (2011) A once-palatable franchise, even for adults accompanying their children, now watered-down to its core incipient ingredients for (one hopes) its final installment: childishly gross gags, simplistic super villains, a large serving of sentimentality, and slightly amusing visual effects that vaguely resemble a million other gadgets we've seen before. Any remnants of inventiveness, as well as most of the original cast, are gone. 16. "The Adventures of Sharkboy and Lavagirl" (2005) The sequence detailing Sharkboy's origin story is asinine by any standard, and yet it dishearteningly prevails as this contrived adventure's most unique trait and sole element that prevents it from being another "Spy Kids" rehash. A young Taylor Lautner breakdancing to an awful tune could make even the most compassionate of hearts cringe. Colorful CG environments, which haven't aged well, complement the package. 15. "Shorts" (2009) Subdivided into non-chronological chapters, this sci-fi children's' adventure reads like a trite rip-off of "The Little Rascals." However, it's at the very least not a sequel and attempts (clumsily) to comment on modern society's obsession with cellular devices and the companies that mass-produce them. There are also magic rocks, aliens and incompetent parents. 14. 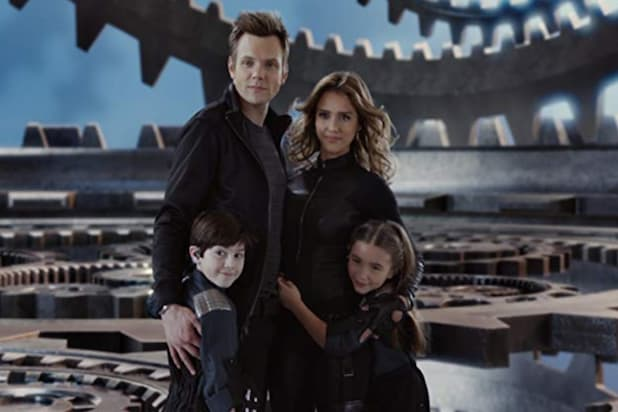 "Spy Kids 3-D: Game Over" (2003) While the franchise was certainly on its last legs by this point, actors Daryl Sabara and Alexa PenaVega (just "Vega" at the time) imbue this installment with whatever charm they could still find in their lived-in roles. The video game plot exists as a candy-colored and less compelling version of what "Tron" did back in the '80s, while Sylvester Stallone tries hard to make sense of his eccentric antagonist. It's difficult to watch without turning away. 13. "Sin City: A Dame to Kill For" (2014) Nearly a decade after the first adaptation of this Frank Miller property, Rodriguez and the author reteamed for a film that simultaneously acts as sequel and prequel to the murderous events depicted in the innovative 2005 flick. What they conjured up this time has improved visual effects, but less emotional impact. Its puzzling and intertwining timeline is the least of its troubles. 12. "Machete Kills" (2013) Much less focused than its predecessor, this messier sequel occurs in a reality where a border wall between Mexico and the United States already exists but does little to deter any of the issues for which it was supposedly implemented. That's not enough to salvage the exploitation-inspired movie from a story crowded with inconsequential cameos (including future Oscar nominee Lady Gaga). Still, its saving grace is Demián Bichir's wacko turn as a cartel boss. His banter with Danny Trejo's Machete illustrates poignant topics, though not always successfully. 11. "Once Upon a Time in Mexico" (2003) A trilogy that started as a one-man crew making a movie with a friend in a foreign country concluded in bombastic insanity. Now a legend, El Mariachi (Banderas) gets swept into a CIA operation putting to use his dexterous gun-toting hands. Taking that premise to delightfully deranged heights, Rodriguez brings in a group of performers who will probably never again be united for a shared endeavor: musicians Rubén Blades and Enrique Iglesias, and A-listers Johnny Depp, Willem Dafoe and Mickey Rourke, to name a few. It's a trashy good time aware of how over-the-top it is. 10. "The Faculty" (1998) Executed with unexpected restraint, this body-snatching horror film laced with plenty of '90s high school drama is an outlier in the prodigious filmmaker's career. Not only did he not write it, but the movie also offers stylistically minimal flourishes in comparison to what we've come to know from Rodriguez. Watching it feels like opening a time capsule where Elijah Wood, Usher and Jon Stewart weren't yet famous for the reasons they are today. 9. "Alita: Battle Angel" (2019) Rodriguez's exorbitantly high-priced action film is an impressive VFX spectacle that bears the imprint of excess associated with its co-writer and producer James Cameron. Based on a popular manga, this sci-fi exploit about a cyborg girl falling in love and fighting for upward mobility in a postapocalyptic world (after a major conflict known as "The Fall") merits praise for its visual ambitions. Rosa Salazar, in a motion-capture performance, manages to make the weirdly infantilized title heroine engaging, even if problematic. In the midst of the convoluted grandeur, the director sneaks in a few idiosyncratic touches like Spanish-language signage and banners flavoring key moments. 8. "From Dusk Till Dawn" (1996) For better or worse, Salma Hayek's most emblematic movie moment to date, as well as Quentin Tarantino's most substantial onscreen work, is packaged in this entertaining if not particularly sophisticated picture. Written by Tarantino, this vampire shoot-'em-up set in Rodriguez's familiar southwest is overall a tonally consistent ride that pushed the director deep into the supernatural for the first time. It's now spawned multiple direct-to-video follow-ups and a TV series. 7. Desperado (1995) Like few others in Hollywood, Rodriguez has always been committed to casting Hispanic and Latinx talent in all of his projects. Among them, Salma Hayek and Antonio Banderas are two standouts that went on to join him several times. 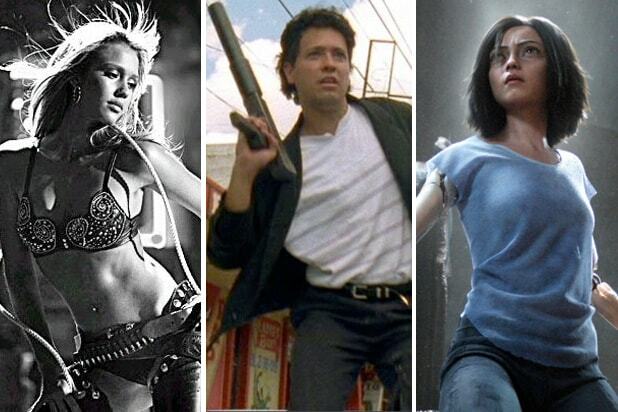 As Rodriguez entered the studio machine with the English-language, recast follow-up to "El Mariachi," the director hired them to star and showed that his skills were just as effective when working with a bigger budget. Guitar cases hiding guns and bar shootouts remained a staple, though artistically, the material lost its indie spirit. 6. "Spy Kids 2: The Island of Lost Dreams" (2002) Finding the franchise's sweet spot, the sequel to the well-regarded kids-oriented feature was still a vibrantly refreshing addition. Rodriguez further developed the parent-child relationships in organic fashion, with the two young leads now presented as slightly more layered. Sight gags with a futuristic edge reign supreme and enhance the chemistry between the core stars. Released only a year after the first one became a box-office smash, Rodriguez's sequel still delivered. 5. "Machete" (2010) In addition to giving Danny Trejo the lead role he was born to play, this action-packed political satire, where the eponymous avenger uses an enemy's intestines as rope, also acts as a searing critique on anti-immigration rhetoric. Shots of hardworking undocumented people populate the brutally comedic narrative, sending a resounding and dignifying message. Expanded from the pithy "Grindhouse" trailer, every character here is a campy archetype -- which means we are clear on who the bad guys are. 4. "Spy Kids" (2001) Momentarily stepping away from gruesome fare, Rodriguez tapped into a distinct interest and created a family-friendly experience that was truly amusing for all ages. With access to a larger budget, he took tropes from espionage thrillers and repurposed them into an exciting and singular movie event with technology at the forefront. Fresh-faced Daryl Sabara and Alexa Vega played children of spies who must join their parents' profession to defeat evil. Sibling rivalry in the context of electrifying set pieces added relatable undertones. 3. "Planet Terror" (2007) Arguably the better half of "Grindhouse," the explosive opening feature presentation in the Rodriguez-Tarantino double bill is a wonderfully grotesque homage to second-rate, so-bad-they're-good genre productions from a bygone era. Few concepts align so fittingly with the moviemaker's sensibilities. Wielding his personal brand of flesh-eating creatures, Rodriguez scores in sly humor and body horror. Rose McGowan is a treat as a machine-gun-legged heroine. 2. "Sin City" (2005) Co-directed with the source material's author, Frank Miller, this pulpy, neo-noir anthology of violence represents the pinnacle of Rodriguez's fondness for technological advancements. As though inked with a visceral substance, the film's stark and striking black-and-white palette is accentuated with bursts of color that aesthetically honor the graphic novel pages it aims to invoke. In turn, the ensemble cast (made up mostly of Rodriguez regulars) reveled in the maniacal extravagance of the text for intoxicating theatricality. 1. 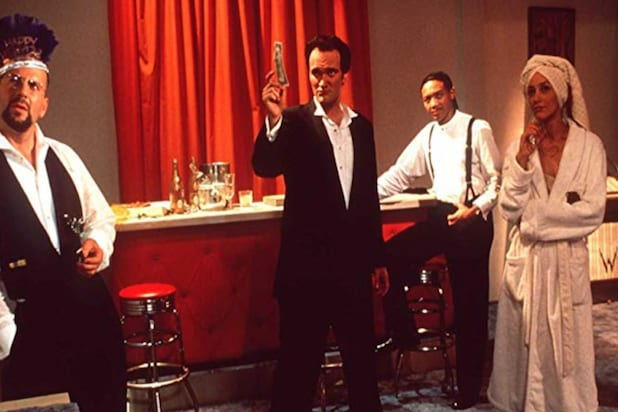 "El Mariachi "(1992) Scores of aspiring filmmakers have been fueled with hope against all odds by the improbable making of Rodriguez's debut, and by the book recounting it, "Rebel Without a Crew." If one could bottle the essence of independent cinema in all its daring and uncompromising greatness, this would be it. It was shot in Mexico, entirely in Spanish, with a cast of mostly unknown performers including star Carlos Gallardo, for $7,000 (before all the embellishing Columbia Pictures had to do upon buying it). This action tale of mistaken identity will forever stand as the cornerstone of the director's legacy. With its evocative voiceover, thrills on a budget, and Rodriguez's enviable prowess as cinematographer and editor, "El Mariachi" is also his subtlest lesson in resourcefulness.